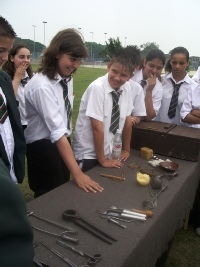 Let us use our expertise and understanding to enhance your group’s historical knowledge by allowing us to visit your school, college, home education or adult group and bring your chosen topic alive. 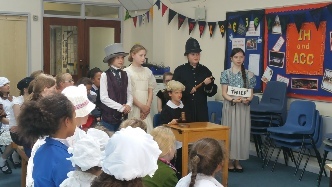 We can act as a complimentary teaching aid to set the scene and introduce or finalise topics or we could simply be used as an end of term treat. 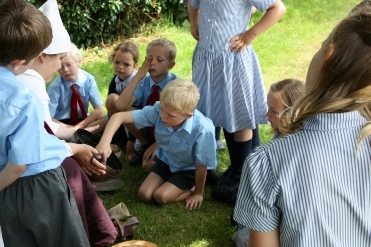 All of our workshops are based along the guidelines of both the National Curriculum and the International Primary Curriculum and are designed so that they are suitable for all ages and abilities, which allows everyone the opportunity to see, feel or even smell many of the authentic and historically accurate artefacts that we bring along with us. For everyone’s safety, all of our presentations are risk assessed and are covered by £5,000,000 public liability insurance. Rather have a day trip instead? We offer walking tours around the City of Worcester that help compliment the studies of chosen periods, historic buildings or even geographical studies like the River Severn or a comparison between the countryside and the city. 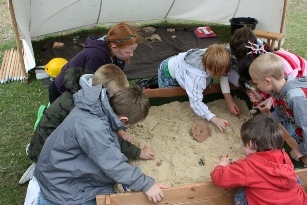 We also have good working relationships with a number of attractions in Worcestershire and compliment their educations programme with our workshops. We are constantly developing new sessions and always welcome a challenge, so if you have a specific idea in mind, we would ask that rather than give up, send us an email with your request and let us be the ones who say whether we can or are unable to fulfil your needs. 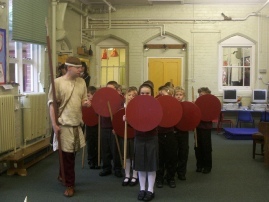 “Thank you for a very enjoyable and informative day.The children learnt lots and thoroughly enjoyed looking at the weapons, dressing up and playing with the games. Many thanks for the interesting talk you gave us on the Civil War. Many thanks for your excellent presentation to our pupils. 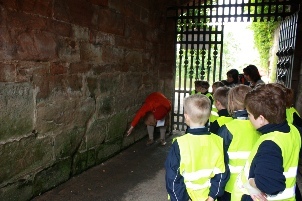 We all enjoyed it & the children remembered a lot of what you told them. The musket firing was definitely a highlight and we look forward to seeing you again next year! Excellent World War 1 presentation . It really brought the topic alive for students.